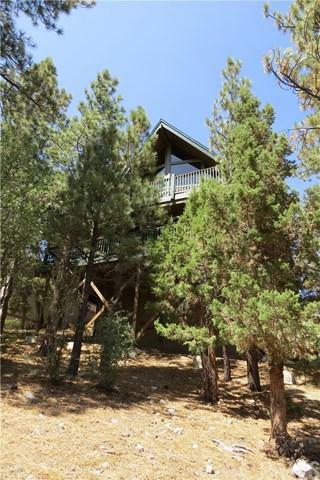 Highly desirable Moonridge area of Big Bear. 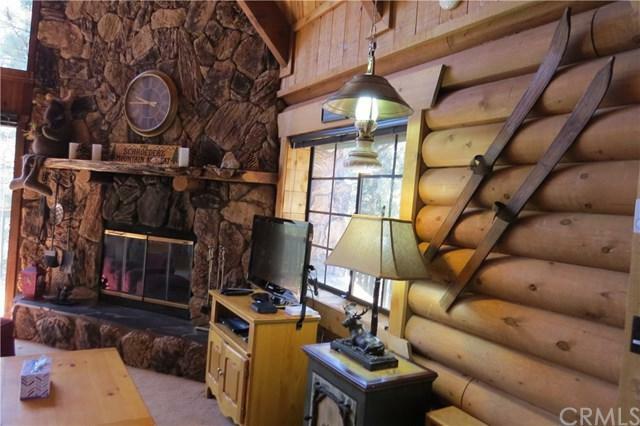 A Three Level Full Log Home. Fantastic views of Bear Mt. Ski Slopes and Sugar Loaf Mt. Large Wooded Lot.Two wrap around decks. 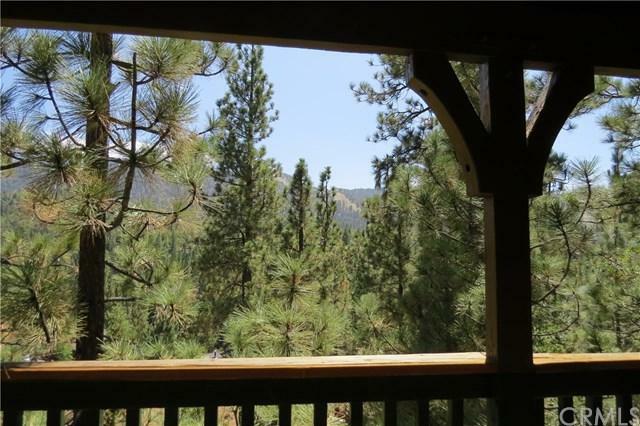 This property is fully furnished (included in price)and ready for your move to the Mountains or your new Vacation home. 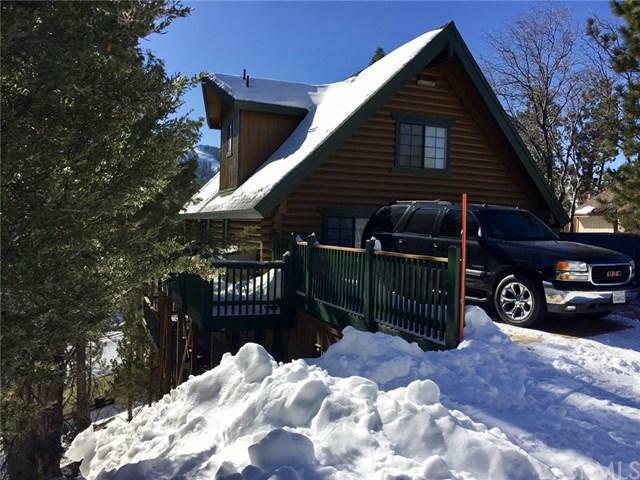 Short drive to the ski area and to the Village of Big Bear. High ceilings and lots of windows make this truly a peaceful sanctuary. Just bring your clothes and be prepared to relax. Three floors: Entry with LR, Dr and Kitchen, two bedrooms and a bath. Upstairs loft with bedroom, bath and sitting area. Downstairs, master bedroom and bath, game room, slate pool table, foosball table, additional bedroom room w/3 sets of bunk beds. Laundry with washer and dryer (included). Stunning views from all levels. Central vacuum system. Truly a restfull place with the home designed for comfort and privacy.